Picture this: You’re lazing in a hammock on the summit of a mountain after a grueling climb with an unobstructed view.. Next, you’re mere metres from the ocean, listening to the waves gently lap against the sand.Or maybe, you’re kicking back and cuddling up, strung between two trees and surrounded by a (seemingly) endless snowy winter. #HammockLife has become nearly as prominent on social media as #VanLife, and we’re not complaining. We love a good viewpoint, so we’ve compiled some of the most stunning, scenic places to hang your hammock across the country. 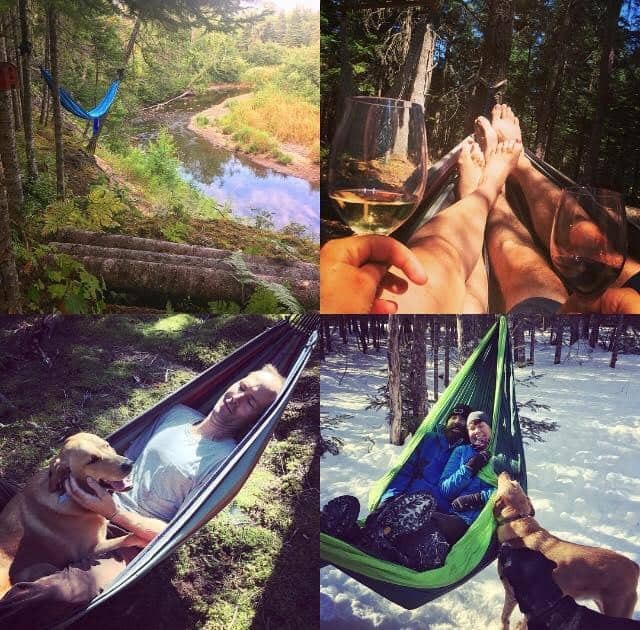 I’d like to give a huge thank you to the Instagramers and members of the LTA Club that allowed us to share their hammock photos. Click on the links to see more of their photographs or click here to learn about the LTA Club.